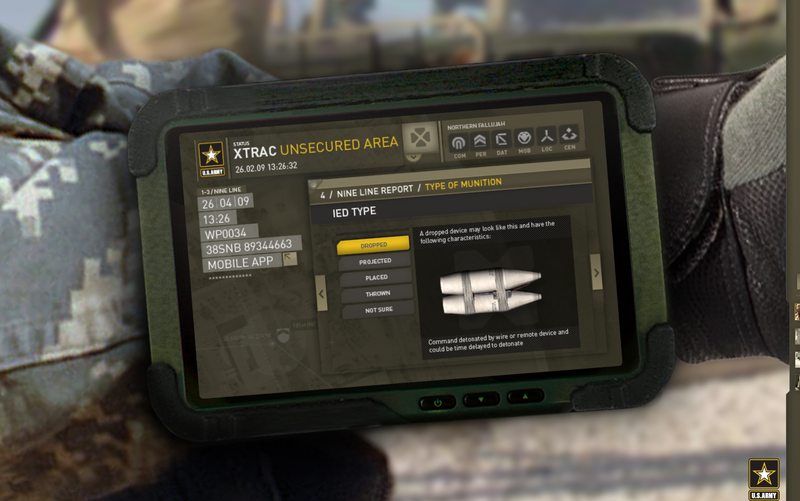 At a recent defense industry conference, Roundarch unveiled a prototype designed to help soldiers collaborate to defeat IEDs. We set out to feature rich web and mobile applications and apply user-centered design methodologies to solve a very real, very large problem. A squad on patrol in Iraq comes across a suspicious device. A mobile application aids them in reporting rich details about the situation while executing quickly and without diverting attention from their surroundings. The Operations Center, explosives team, and other subject matter experts operate in different contexts. They are geographically dispersed and have different hardware yet collaborate in real-time. 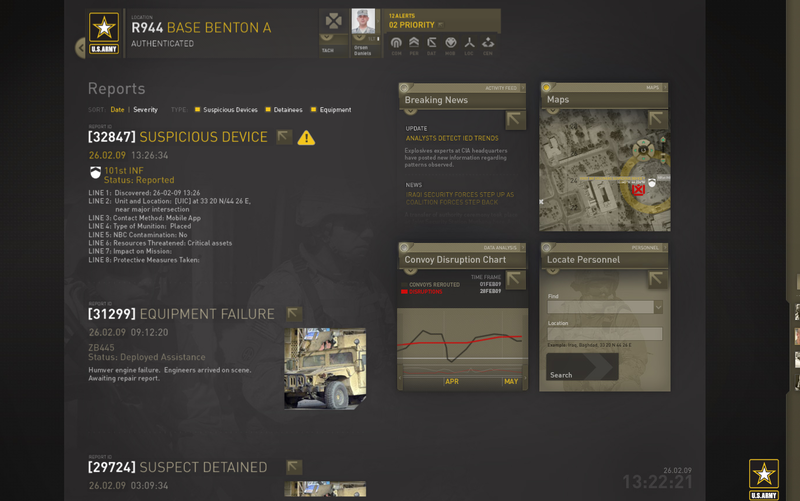 Tools support situational awareness, decision-making, communication, and task completion. IED lexicons baked into the system drive classification of data and algorithms for predictive analysis. Robust visualizations turn data into knowledge for novice users, decision-makers, and technical experts. Given that the data and technologies driving this vision all exist today, the end result is both forward-thinking and completely realistic. The goal was not to prove the technologies themselves. We are already delivering rich Web applications to thousands of Air Force and Army users. Our goal was to explore new concepts for delivering information to users where and when they need it, showing what is possible with these technologies. Prototypes are an ideal tool for exploring new concepts. They can be very practical used early on in a project to drive out requirements, identify issues, adjust course, and iterate quickly. Prototypes can also be visionary, allowing the team to explore the “art of the possible” and releasing us from the constraints of everyday to see what could be. 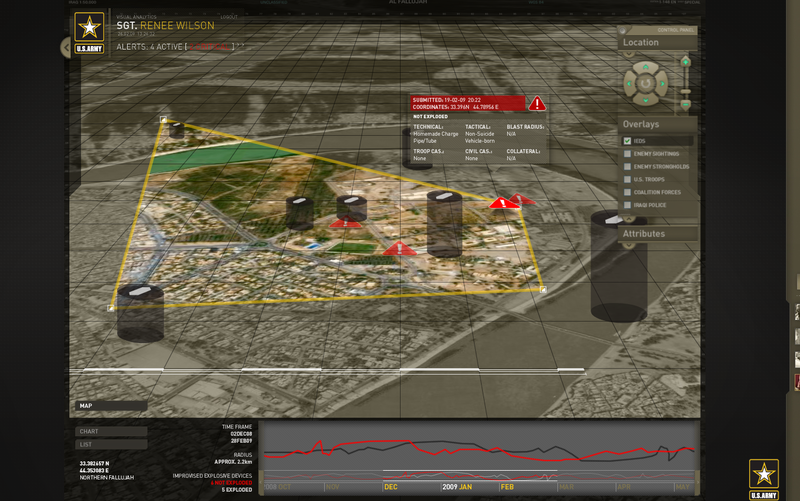 Most importantly – as we learned with a similar demo based on an Air Force scenario – prototypes facilitate communication. You can talk on and on about delivering a rich application to a browser or mobile device. You can wax poetic about the ability of web services to unleash data to do great things, or you can show people what you mean. If a picture is worth a thousand words, an interactive prototype is invaluable. They inspire discussion and find solutions to real human problems that get lost in information technology rhetoric.